When magic is involved to experiment with life, the results can be horrifying and sickening. So-called Freaks are born from careless tinkering with supernatural forces. These “freaks” are often driven to madness and hostility by either their inability to grasp the world around them or reacting to a harsh and judgemental society. Those who lack sentience tend to go mad from their tormented existence. Most of the time, their creators have little care for their warped creations. Those who do seem them as the perfect meat shield, whilst they continue their depraved and disturbed experiments. While many are the result of mad scientist, evil alchemists and deranged wizards; some are victims of corrupting powers and incomprehensible forces. These powers greatly vary. Forces like abyssal underworld hexes, maddening voids of realms beyond, places of raw and untamed energies. Creatures born from such mysterious planes and domains are often thralls to their mad overlords. Those who break free often became chaotic and destructive forces prone to rampage, much like material plane “freaks”. These planar-blighted beings were often enslaved as living machines of destruction. They serve as pawns in warfare, conquest or acts of terror. Author’s Note: Many of these are original with the help of some of my friends (Thanks Bobby, Centaurpede will give me nightmares!) Also, the creepy horse mask inspired some of the flavor text… In the case of some of the others, they are homages. The Cosmicoid is both a nod towards Alien and the equally inspired Wanamingo from Fallout 2. The Hulking Mutant is a more clear reference towards the Super Mutants from Fallout. Meanwhile the Atomic Beast was my translation of Keith Thompson’s Pripyat Beast and Psi-Zombie is Zombified Stalker from S.T.A.L.K.E.R. meets the Witch from Left 4 Dead. Also, Atomic Beast and Centaurpede are conceptually very similar… Granted, one’s alive while another is a From Software staple. CHECK OUT THE UPDATED VERSION HERE!! For starters, I’d like to thank everyone who took the time to contribute to this month’s theme. While many themes have come and gone through carnival history, I’m not too sure many have really tackled this idea in depth. Perhaps it’s due to the fact the genre hybrid of science-fantasy isn’t as popular as it once was. Perhaps people just wanted to tackle something else that tickles their fancy. Both are very fine reasons. At first, I was hesitant to make the theme about science fantasy. The reason was that it’s very much a niche flavor within a niche hobby. I love it, but I figured not too many other people shared that same love. None the less, plenty of fans came out of the wood work to support a pretty cool concept, if I do say so myself! Mages and dragons meets techno-crafters and giant robots! I mean, come on! That’s pretty darn cool! Also yes, RIFTS was one of my favorite settings way back when… how did you guess? 6d6RPG: The Monster in the Machine – jfoster merges machinery with the strange and supernatural to create some fascinating and unsettling new monster ideas! 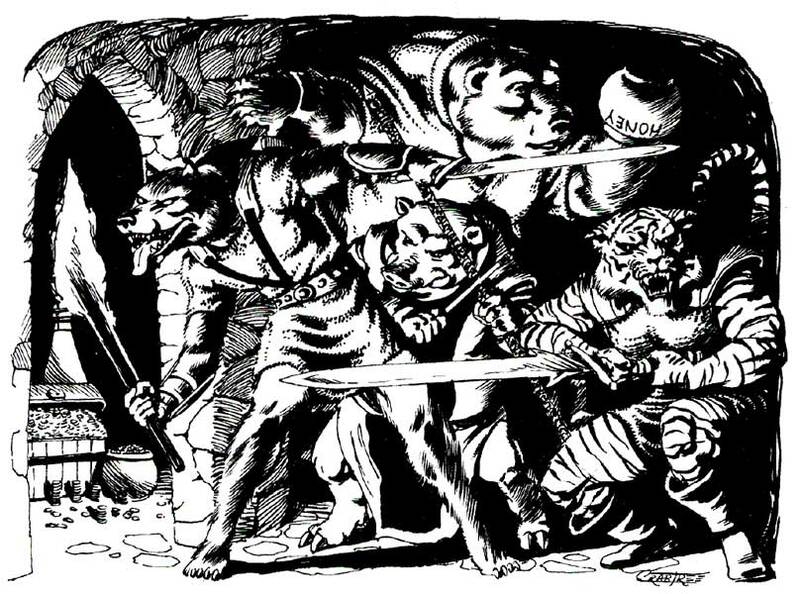 Anarcarnivàle: Any technology sufficiently advanced… – Clark proposes ideas on fusing magic and technology together with the help of historical scenarios. Brynvalk: Cold Iron Corruptor – Faith from Brynvalk mashes classical fantasy creatures of the Fae with Sci-Fi elements such as cyborgs and mutants. Crossplanes: F@NE For Savage RIFTS – Mark from Crossplanes creates a creature for the science-fantasy world of RIFTS, now compatible with Savage Worlds. Forgotmydice: Astounding Tales of Science Fantasy – Grynning examines Clarke’s Third Law in its relation to the Sword and Planet genre, as well as figuring out how to run such games in D&D. Forgotmydice: Warlock Patron of Interest – Griss makes a pact with a new warlock patron, The Machine. Forgotmydice: ‘Tis New to Thee – Trevor transports people from a Modern world into the realm of Fantasy thanks to a new background! Forgotmydice: From the Red Hills of Mars – Robert channels John Carter in the blog’s August 2016 finale by creating Green Martian stats. Forgot my dice: Allons-y! – Trevor makes an intellectual and scientific sub class for the Ranger. Mythus Mage: Are You Sure? – Alan dissects genre and treats magic as a science. Notes of the Wandering Alchemist: Science-Fantasy Trinket Table – Based on the PHB, John has made a table of random trinkets you can incorporate into your games. Rollcall: Reskinning to Maximize a System’s Range – Rollcall shows how simple it is to reflavor fantasy RPGs into science fiction. Tales of a GM: Serpentfall in Heroquest – Phil takes from “The Day After Ragnarok” setting to build an epic interlude with a helping of science-fantasy! Temple of Ravens: Super-Science and Sorcery – Anthony of Temple of Ravens ponders Sci-Fi series like Star Trek and how to run them within the realms of D&D and beyond. 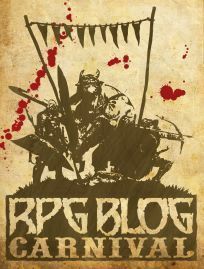 If you would like to participate in an upcoming RPG Blog Carnival event or host your own event, please check out this page to learn more.